The wait leading up to the newest Captain America movie felt like an eternity. Rumors were floating around about the sequel even before the first film was released. When Ed Brubaker’s Cap epic “The Winter Soldier” was confirmed as the source material at 2012 San Diego Comic-Con, I was ecstatic. I am a big fan of Brubaker’s entire run on Captain America. He changed the way many people looked at Cpt. Rogers, so it seems appropriate that the movie which it inspired has accomplished this same feat, not only for Captain America, but for the entire genre of superhero movies. The film takes place two years after the Battle of New York (The Avengers, 2012). We find Steve Rogers living in our nation’s capital and running covert ops for S.H.I.E.L.D. He is trying to come to terms with living in today’s world, both in his personal life and his new occupation. An argument between Cap and Nick Fury (Samuel L. Jackson) sets the tone and foreshadows the film’s conflict. Steve finds it difficult to accept that S.H.I.E.L.D.’s philosophy of preemptive defense is what the world needs. Themes of mistrust and conspiracy run rampant all over the plot and when S.H.I.E.L.D. becomes compromised, Nick Fury is in the cross-hairs. Enter the Winter Soldier (Sebastian Stan), a legendary assassin who many thought was no more than a rumor. The master killer is after the Director and even Fury’s best may not be enough to stop the man who has killed enough to have shaped the world’s diplomacy for the last 50 years. Steve is forced to choose sides and finds himself a fugitive from the agency that employed him. After escaping S.H.I.E.L.D.’s grasp he meets up with Natasha Romanov (Scarlett Johansson) a.k.a. The Black Widow, and they try to find how deep the conspiracy goes. 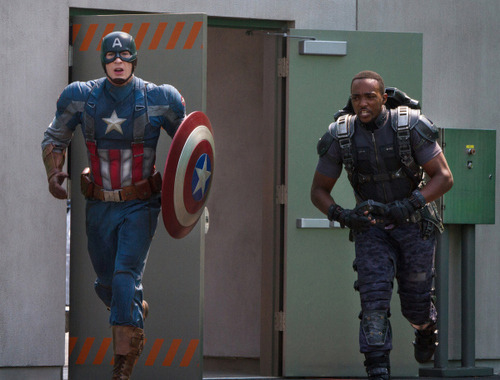 They recruit Sam Wilson (Anthony Mackie) a.k.a. Falcon, an Air Force veteran working at the local VA hospital who we’re introduced to early in the movie. As the action unfolds, Cap’s team uncovers a major plot which has been years in the making and with it, specters of the past thought to be long gone. The Russo Brothers have delivered a film wrought with political intrigue and heroes. The expert choreography of fight scenes and the use of live-action special effects make this the grittiest production we’ve seen from Marvel. The cast, both new and returning, blend together in a way even the most stalwart Cap fan would call believable. 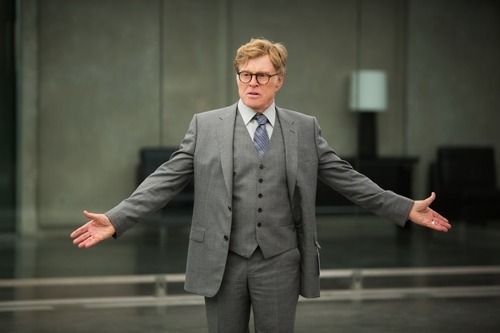 Even Robert Redford, who plays Alexander Pierce, meshes well into this world of superheroes despite having a background in more grounded roles. This is a film can be enjoyed by both comic book fans and non-fans alike. This is something which is not often achieved. Marvel Studios has always tread along a line between fans and the general public, careful not to isolate either group but still maximize popularity and profits. I believe this film has achieved that balance in a way that is hard to recreate in a Thor or Iron Man movie. One reason this film was able to do this is something very few, if any, Marvel movies have ever done: it honored the source material. While the film might not directly adapt its printed counterpart, it manages to capture the same feel and emotion of Brubaker’s original story. However, keeping in mind that “honor” does not mean “adapt”, some plot points seem to have been overlooked in an effort to focus on others. For example, The Winter Soldier’s origin seemed to be dealt with hastily in order to focus more on the growing chaos within S.H.I.E.L.D. despite the character’s name in the title. This is something that can be overlooked, but begs to be answered in future films. 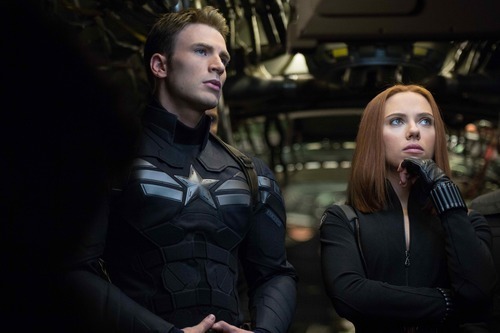 Captain America: The Winter Soldier is not only the best sequel in Marvel’s newest phase of movies, it is quite possibly the best film Marvel has made to date. A well written plot and a copious amount of shield-throwing action create an extremely enjoyable experience.